Mexico is a beautifully diverse place, and has so much to offer to travelers. Whether you decide to visit the local beaches famous all around the world for their hospitality, and beauty, or some of the many historical cities from the time before Spanish colonization. There are also many archeological sites rich in culture belonging to the Maya, Olmec, and Aztec civilazations. Beautiful national parks are plentyful and cover land ranging form desert to mountains and forests. Even if you just hang out in one of the modern cities, be assured, you will enjoy it. 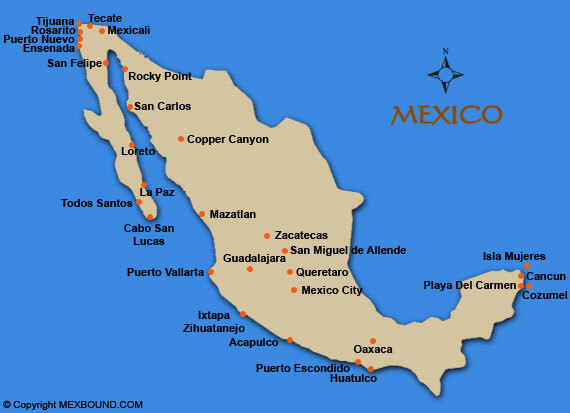 Mexico is a great place to rent or sell timeshare. Some of the finest resorts in the world can be found there, and timeshares offer more space and value for you money.